[tps_footer]Riteish Deshmukh, Vivek Oberoi, Aftab Shivdasani and Urvashi Rautela’s Great Grand Masti has crossed its second day at the Box Office. The second-day collection is not at all impressive. The movie opened on an average note of 15% to 20% at the box office. The first day collection of the adult comedy flick was Rs.2.50 crore net approx. The film could not create any buzz at the box office and will have to struggle to make a mark. On its second day, Great Grand Masti collected Rs 2.50 crore net approx., which was similar to day one. The total collection of the film is Rs 5 crore net approx. The biggest loss of the film is because of its online leak. 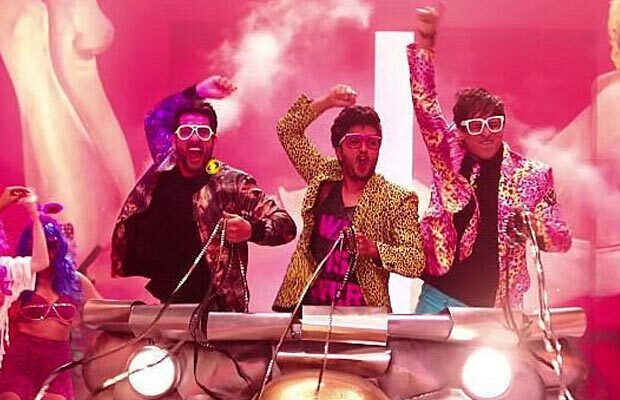 ‘Great Grand Masti’ got leaked online on several portals and therefore there was a loss of viewers at the screens. Moreover, the release date of the film was also changed for the same reason but the efforts were futile. Helmed by Indra Kumar, ‘Great Grand Masti’ is the third part of the Masti franchise. The earlier two films were good hits but the same cannot be said for the just released film. Previous articleBox Office: Salman Khan’s Sultan Shocking Eleventh Day Collection! Next articleQandeel Baloch’s Shocking Interview Two Days Before Her Murder!